It has, it's safe to say, been too long since my last confession. A combination of activities both in game and out has left me with little time to blog over the past few weeks, and a number of work in progress articles have been sitting in my drafts folder for some time. That's something I hope to fix soon. First, an update on what I've been doing outside of New Eden. I've been hosting family for the last week or so, and with my brother being a fairly keen gamer too that's been a great opportunity to put some diablo 3 co-op through its paces. Suffice to say the third installment of the series is a lot of fun, and as you might expect from Blizzard it's a very polished product. The plot felt a little predictable, however the gameplay itself is much improved over its predecessor and both the visuals and atmosphere are fantastic. In addition to that I've been spending some time on Crusader Kings 2, a game which could hardly be more different to blizzard's offering. Best described as a mash up of the civilisation series, dwarf fortress, and game of thrones, CK2 is a dynasty builder whereby you attempt to extend the influence of your house and bloodline throughout middle age Europe, complete with all the intrigue and backstabbing which that entails. The gameplay is largely hands-off, but the depth of the game can drag you in for hours and I can definitely recommend it to fans of any of the three series mentioned above. In game, I've been equally busy. I delivered a Q&A lecture for Eve University which was very enjoyable, you can find that in their class library. I also dropped into RvB to participate in the Great E-Uni vs Purple War, although out of game commitments meant that I only managed to join in the climactic fight for the E-Uni POS on Sunday night. Aldrat local was up to somewhere between 600 and 700 for the duration, with a single battle raging non-stop for hours on the Aldrat/Eygfe gate. I had a great time zipping around in my taranis taking down hostile snipers and ewar, however the significant lag definitely made manual piloting a challenge. Following that I guest FCed an RvB Ganked roam (see here for my writeup of a previous such roam), which was a resounding success. It was nice to get into the hot seat again, and while I did manage to suicide the fleet at the end (which I feel a little bad for), the 5 billion isk worth of damage which we inflicted during the night definitely makes me feel better about it! I'm now beginning to ask myself the question of 'what next?'. While I've really enjoyed the freedom of being completely solo (and still being able to join gangs from time to time via outlets such as RvB Ganked and my old friends back in Agony), eve isn't a game to play by yourself. There are a number of things I'd like to try, but with the current climate the obvious opportunity in the short term is Faction Warfare. Inferno hasn't even officially hit yet, and its promised changes have already been the catalyst for an explosion of activity among the FW community, as each side rushes to capture systems before the new mechanics come into effect. Of course, there's a conundrum associated with joining FW. I've always been a Minmatar guy (and indeed, Minmatar is the only faction which I actually have sufficient standing to join as an individual if I wanted to do so). However, having observed the FW situation quite closely for the last few weeks it's pretty clear that the last thing FW needs is for more people to join Minmatar - of all the factions, they currently have the most overwhelming advantage over their opponent and to tip the balance further probably wouldn't be in the best interests of either side. Joining the Amarr would be a more sensible choice, however I neither have the standing to do so myself, nor know much about the more fractured collection of corps which make up their militia - hence my dilemma! So what do you think, readers? Do you have any experience in FW? Can you suggest a course for this intrepid blogger? Reddit has just recently started a new Amarr FW corp, if you are redditor and interesting in joining a new corp that could be for you, they could almost certainly use an FC, although I could understand you preferring to not to. Im still immensely looking foreward to KYE: T3 and Command Ships! Please make them happen! You are an Eve celebrity. Just politely ask CCP to reset your Amarr standings, as a professional favor, so you can evaluate the new FW changes in a future article. Just how low ARE your standings lol? Could always just train diplomacy, if its not too bad. If not, have a bunch of carebears run missions and share rewards with you; you'll get the standing boosts. http://wiki.eveuniversity.org/Mission_Fleet If all else fails... looks like mission time. Alternatively, do the correct thing and just join the Gallente. Not that bad, about -1.0 (before diplomacy, however as I understand it diplomacy isn't taken into account for FW). I was trying to decide what to do about that the other night. To an extent it depends what CCP decides to do with the other t1 frigates - if it looks like the rest of the class will be updated in the near future (as opposed to 18 months down the line), I might just wait and then rewrite the whole thing. At 5 frigs per release, I doubt that CCP will finish updating the rest of the frigs - let alone the rest of the T1 ships - anytime soon. 18 months is probably optimistic, just for the frig class; and I'd guess around 10 years for all of the T1 ships. And, if they try to rush the job, they will undoubtably screw it up, requiring yet another couple rounds of rebalancing. For these first 5 frigs, they allowed very little time for Sisi testing, and ignored all of the player forum feedback - so, I'm not optimistic about them getting it right in the first, or second, pass. In the meantime, how about looking at how the new light/medium web drones will affect PVP tactics? I see this as a major buff to Gallente blaster boats, most of which have sufficient drone capability to effectively use these drones to get/keep within blaster range of many previously elusive targets. The drone damage module is also a major buff for the Gallente drone boats, which already get a bonus to drone damage. Before I textwall, thanks for the RvB roam. Being part of the fleet of ~100 Breachers and dealing 5 billion ISK in dammage has been a great experience. 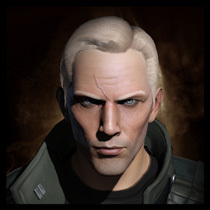 "Joining the Amarr would be a more sensible choice, however I neither have the standing to do so myself, nor know much about the more fractured collection of corps which make up their militia - hence my dilemma!" This is a really good point. It's hard to find information on the inner workings of the factions -- secrecy and 'we're the best around' attitude are most of what I find (can't tell if Amarr are serious or just countering Minmatar propaganda with their own bull) -- least of all for the Gallente and Caldari factions. I was - and still am - considering jumping into FW, but I'm experiencing the same dilemma. Susan's blog is the only one I know of which covers FW to any extent, but it does come off as Minmatar biased (for obvious reasons). Maybe we need more FW blogs in the eve blog pack? Faction warfare corps, there is no better time than now to get your names out there; people are going to want to join, but a lot are going to keep walking if they can't find any information on what they can expect from their faction of choice. oh god, another dwarf fortress-like game? Obvious problems of the FW is that you are going to lose access of the opposing force in empire as a result of standing loss. Although there are pirate pilots with positive sec stats, may be you can compensate this with some missions of the opposing entities against mercenaries, pirates but not the FW. Another option is to mission for SoE because they gave standing for all Factions. At this point I should admit that I am totally illiterate regarding to FW mechanics and totally concerned with the Standing hits. Otherwise, I have my best intention to rain as brownish dust on golden fleet :D I have 9.3 standing with Amarr ministry of war and 9.6 with Brutor tribe which I assume is enough to join as militia.